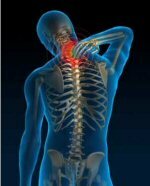 Residents in chronic pain rotations will rotate at the VA Pain Clinic and the UF Pain Clinic. The purpose of both of these rotations is to help the anesthesia resident develop the skills to ameliorate suffering caused by pain problems. The VA Pain rotation, held at the Malcom Randall Veterans Administration Hospital across the street from Shands, focuses on improving each resident’s fund of knowledge of common pain syndromes, commonly used medications, and treatment plan formulation. Residents will also improve procedural skills for joint injections and lumbar procedures. The UF Pain rotation is an elective after completion of the VA Pain rotation. Residents will learn to perform an initial assessment of the patient with chronic pain, decide on appropriate diagnostic testing, develop skills in performing diagnostic and therapeutic procedures, and learn the appropriate use of pharmacotherapy. In addition, the resident will develop communication skills helpful in developing a professional, therapeutic relationship with chronic pain patients and their families. Using a multidisciplinary approach, the resident will learn to develop management strategies, tailoring pain management and treatment modalities to the patient’s individual needs.